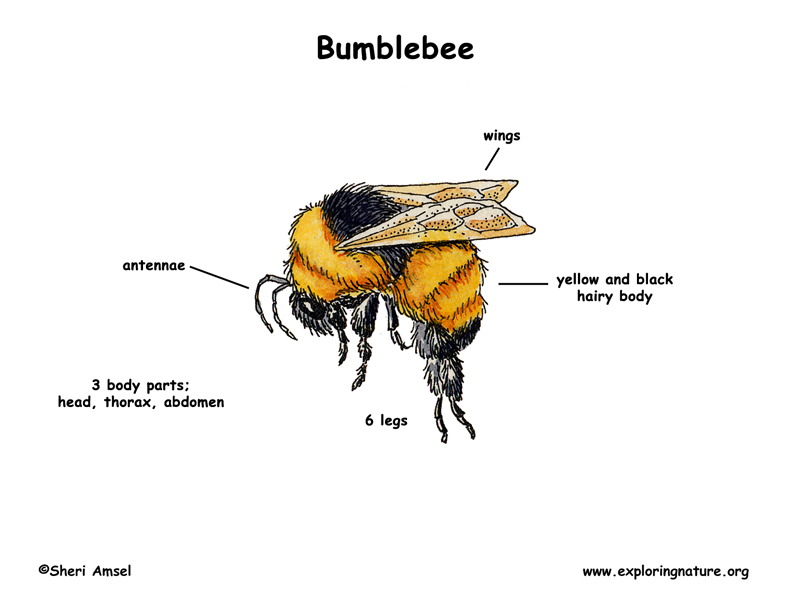 Of the 250 kinds (species) of bumblebee in the world, 200 of them are found in North America. They live in fields, pastures, orchards, yards, and nests underground. They are black and yellow and hairy. They have orange pollen collectors on their legs. They are 1/2 - 1" long. They fly around collecting pollen and pollinating plants as they go. They do sting but are not aggressive like some bees. They will avoid humans rather than sting. They are social insects and live in colonies. Each spring the queen that has survived the winter will find nesting a site to start her new colony. 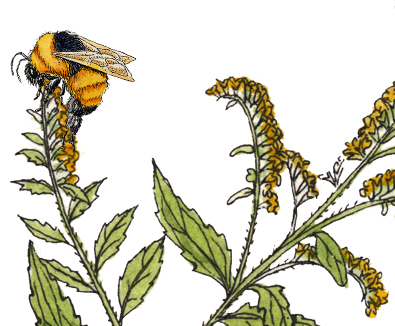 The queen's first eggs become workers that collect pollen and nectar for food. During the spring, the queen lays her eggs in an underground nest site to start that summer's colony. The colony can grow to have 500 bees by the end of the summer.